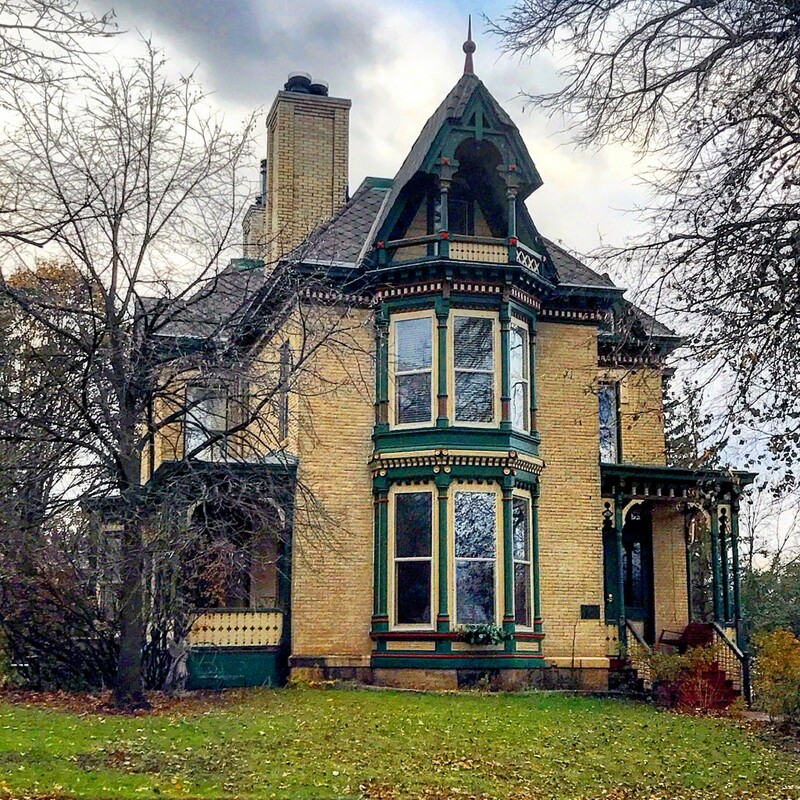 After scouring the state of Minnesota for the coolest and most unique historic homes, I was able to compile a list of my Top 50. There were many I had to leave off the list, and even more that were suggested to me by readers as well. So we hit the road and got out to explore Minnesota for the next 50 Coolest homes to round out the top 100. Enjoy! 100. O.E. Blyberg House, Pelican Rapids – I had to sneak this one in after having plenty of readers mention it. The Italianate-style home in the lakes-country town of Pelican Rapids stands tall on a hill right next to an equally as impressive church. It was also recently listed for sale. 99. 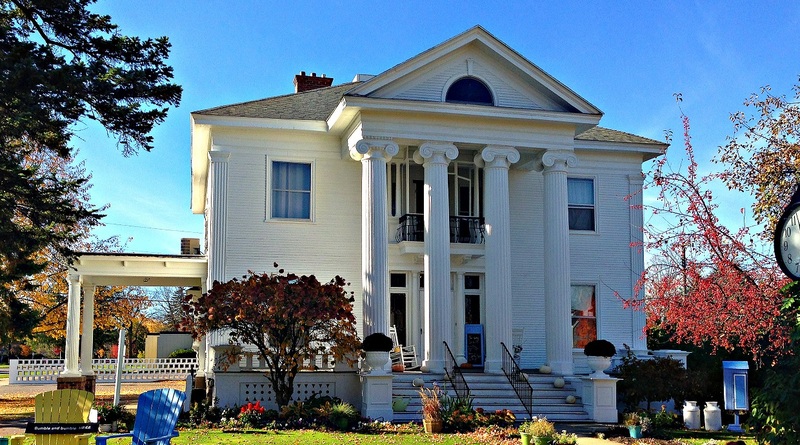 Werner Hemstead House, Brainerd – The Hemstead House in Brainerd features a stately facade with its large columns and portico. The home was built for a local notable politician back in 1903 and exhibits Classical Revival Architecture. 98. 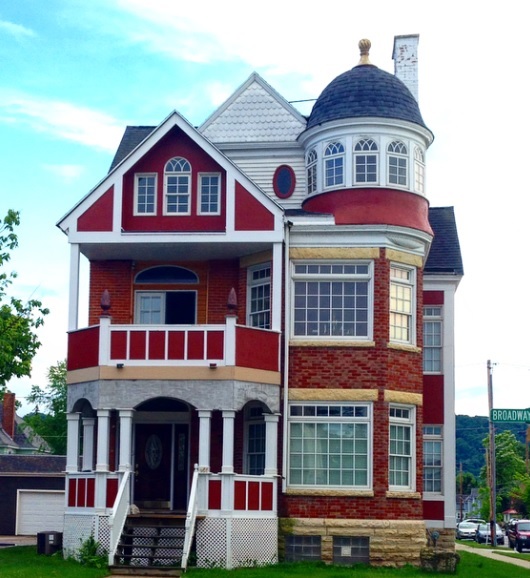 Porter House, Winona – Built in the 1890s by Lemuel C. Porter, who started the L. C. Porter Milling Co., this red brick Victorian-style home on Broadway in Winona was a private home for many years and at one point a sorority house for Winona State University. 97. The Justus Ohage House, St. Paul – The Justus Ohage House in St. Paul’s Irvine Park Historic District features a Romanesque Revival design with Germanic features from 1889. Ohage was a very prominent figure in St. Paul’s early history and even established St. Paul’s first public health service system. The house is one of many different styles in Irvine Park, one of St. Paul’s most architecturally significant and diverse neighborhoods. 96. E.C. Davis House, Crookston – The E.C Davis House, currently a private residence in Crookston, is one of very few Italianate-style homes in northwestern Minnesota. It was built in 1879 for E.C. Davis, a local businessman and Crookston’s first mayor. 95. Castle House, St. 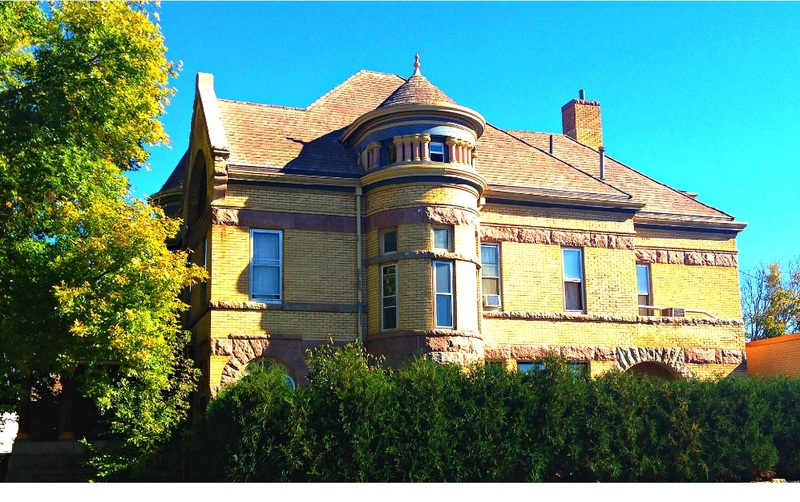 Cloud – Often referred to by locals and St Cloud State University students as the “Castle House,” or the “Castle on 5th Avenue,” this 11-bedroom Victorian home in St. Cloud is available to rent for off-campus university students primarily. 94. 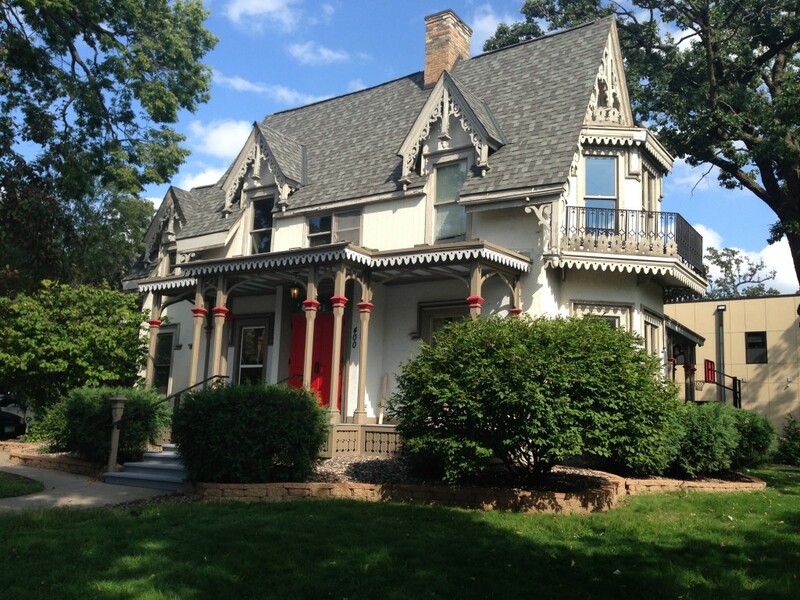 B. O. Cutter House, Minneapolis – The Cutter House near the University of Minnesota in Minneapolis is the only surviving example of the Carpenter Gothic-style homes built by master carpenter B.O. Cutter back in 1856. 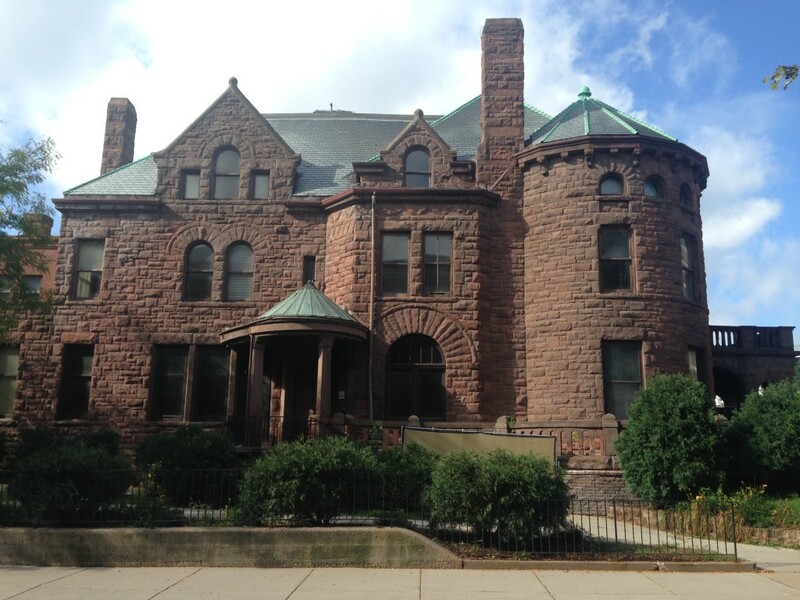 The house was later owned by a prominent Minneapolis politician, and most currently is used as a fraternity house by the U of M.
93. Streamline Moderne House, Fergus Falls – Every once in awhile you come across a beautiful little Streamline Moderne-style home, which was an offshoot of the Art Deco styles of the 1920’s and 30’s. 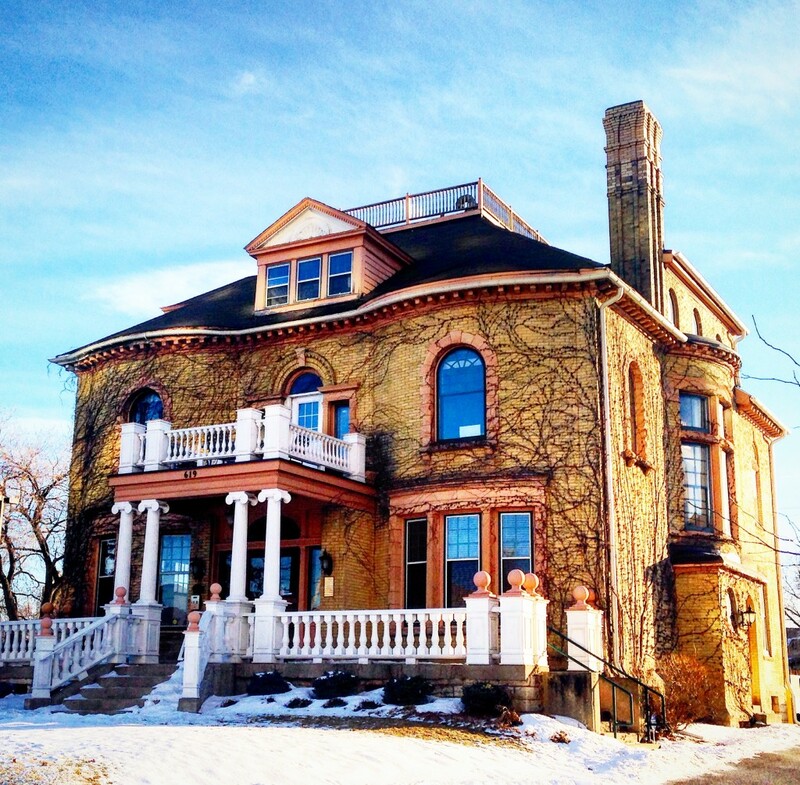 I included a beauty in St. Paul in our Top 50, and had to include this one in our next top 50. 92. Martin T. Gunderson House, Kenyon – Martin Gunderson was a local miller who first introduced electricity to the town of Kenyon, MN. 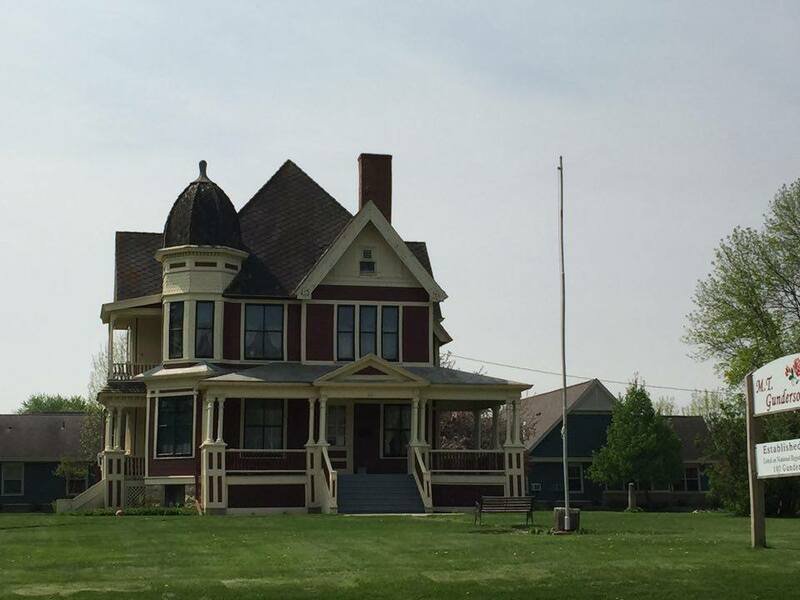 The home was built in 1895 in the Queen Anne style of Victorian architecture and is available for tours through the city offices. 91. Wyer House, Excelsior – Excelsior is a cool little lake town out in the suburbs of Minneapolis on Lake Minnetonka. 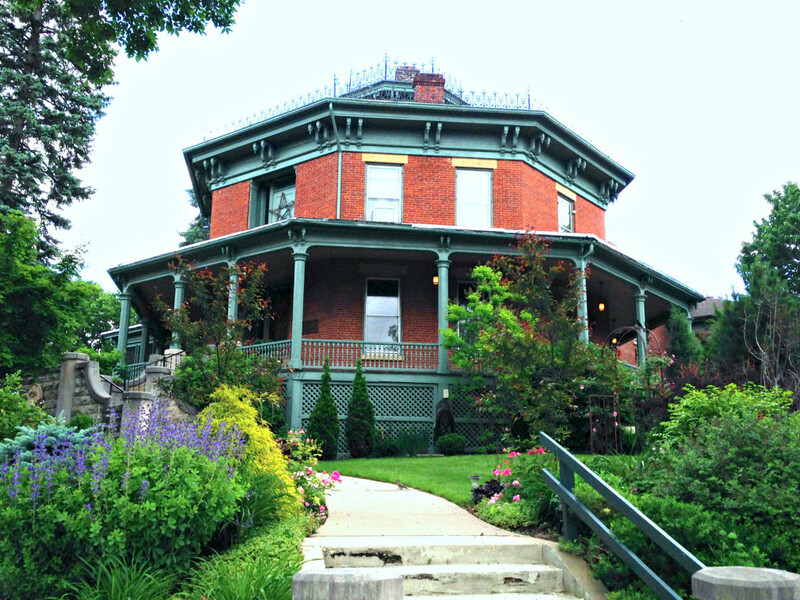 The Wyer House is one of the best preserved Eastlake/Victorian lake cottages in the historic town. It was built in 1887 and in later years was the home of the owners of the fabled Excelsior Amusement Park. 90. Philander Sprague House, Red Wing – This beautiful French Second Empire home in Red Wing’s Historic District sits at a corner at the intersection of Numbers 68 & 63 on our list, at what has been referred to as “the most architecturally significant intersection in all of Minnesota.” It was built back in 1868. 89. 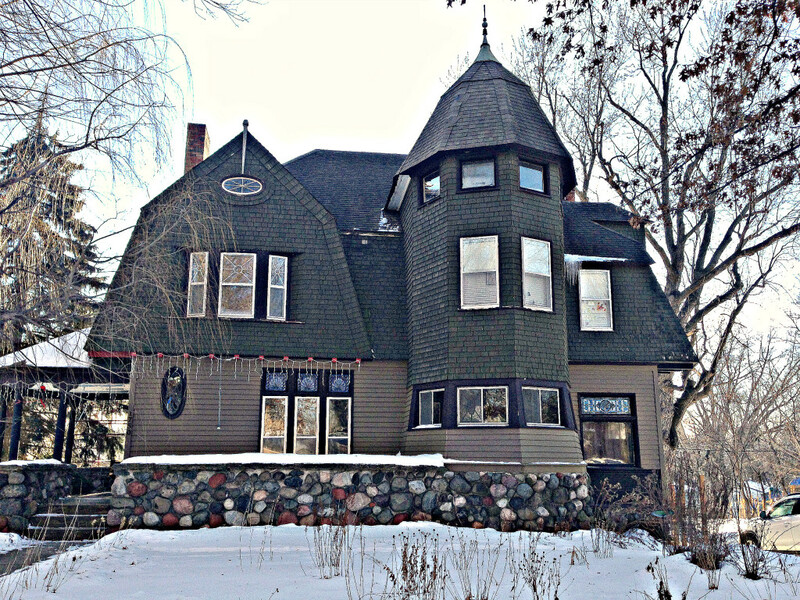 The Alfred Berry House, Hector – The Berry House, in Hector (90 miles west of Minneapolis), was built in 1901 for Alfred Berry of the Berry Brothers Flour Company. It was owned by three generations of the Berry family. It received a restoration around 2007. The home is a built in the classic Queen Anne influence of the Victorian era. 88. Hitching Post House, St Paul- The old “Hitching Post” House was built for Edgar C. Long back in 1889, the general manager of the Railway Supply Company where he made his fortune. 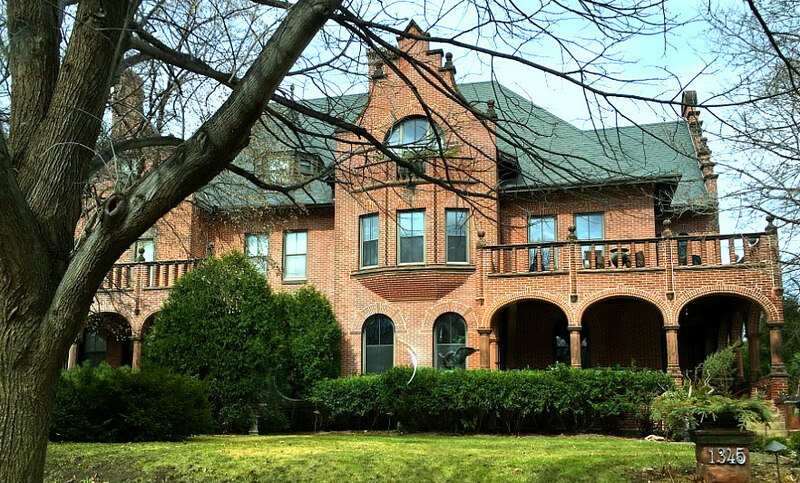 The Summit Ave home features a mix of Romanesque and Queen Anne architecture and was the most expensive home built by the architect, Cass Gilbert. The arch on the bottom left was originally a drive-through garage where visitors who arrived via horse-and-carriage were dropped off. 87. 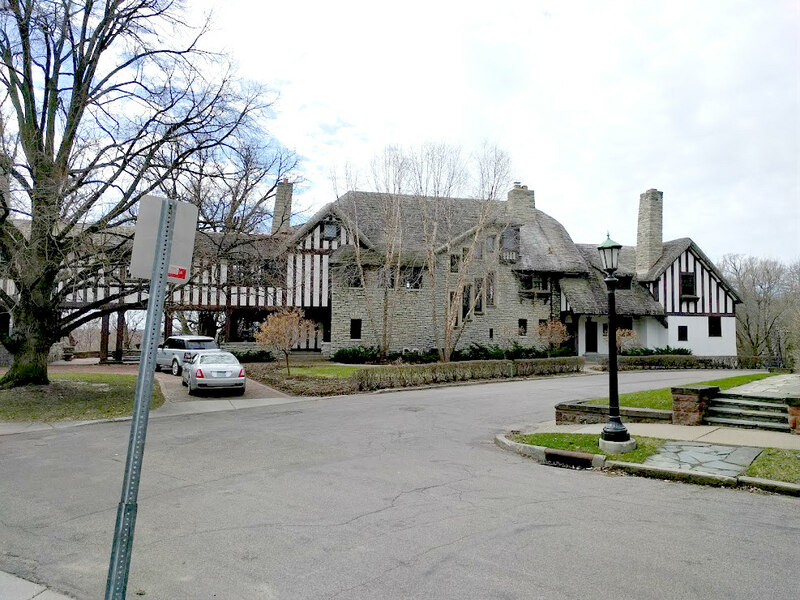 Goodkind Double House, St. Paul – Built in 1910 in the Tudor Revival Style, the homes at 5 and 7 Heather Place in St. Paul’s Crocus Hill Neighborhood were originally owned by two brothers named William and Benjamin Goodkind. The two attached homes share a circular driveway, a courtyard with fountain, and skyway. The entire place measures in at 10,000 sq ft. The Goodkinds owned a successful dry goods store which was later purchased by Dayton’s. The house fell into disrepair over the years but has recently been restored to its original glory. 86. Alexander Ramsey House, St Paul – The Ramsey House was constructed in the 1860’s for statesman Alexander Ramsey, who was one of the founding father of the state of Minnesota. Ramsey was a mayor, Senator, and Governor of Minnesota, and the county in which the capital city, St. Paul, is located in bears his name. His home was a Second Empire-designed classic, and is currently a museum operated by the Minnesota Historical Society. It features a brick exterior with Mansard-style roof, and the interior features walnut woodwork, marble fireplaces, and many other original furnishings. 85. 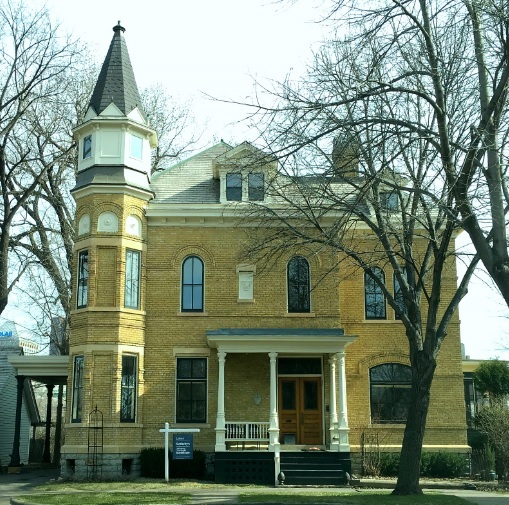 Windom/Hodgins House, Winona – The Windom/Hodgins house in Winona has an interesting history. It was originally constructed in the French Second Empire style for an attorney/politician named Windom in 1869. 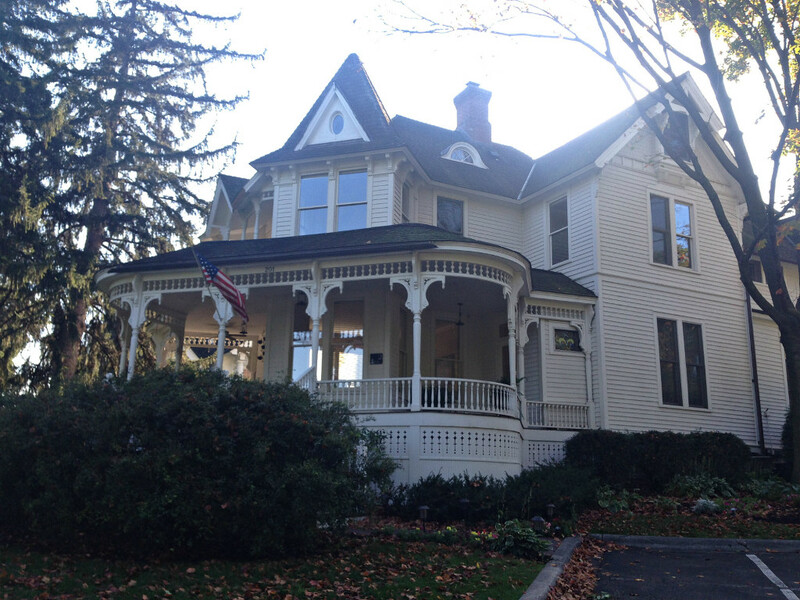 It was later purchased by a lumberman named Abner Hodgins and renovated into a Victorian style home around 1889. It was later occupied by another lumberman, owned by the local Catholic diocese later, and private owners who spent years fixing it up to what it looks like now. 84. 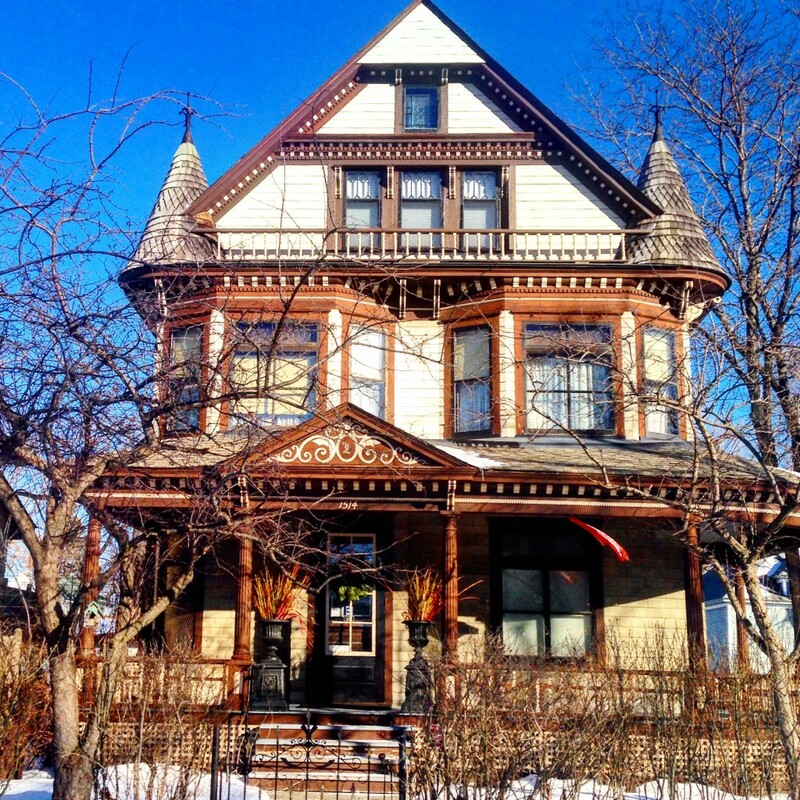 Pierce and Walter Butler House, St Paul – The Pierce and Walter Butler House on St. Paul’s Summit Ave was actually originally a conjoined house of two brothers, one of whom was a United States Supreme Court Justice. The home displays Renaissance architecture and was built back around 1900. 83. 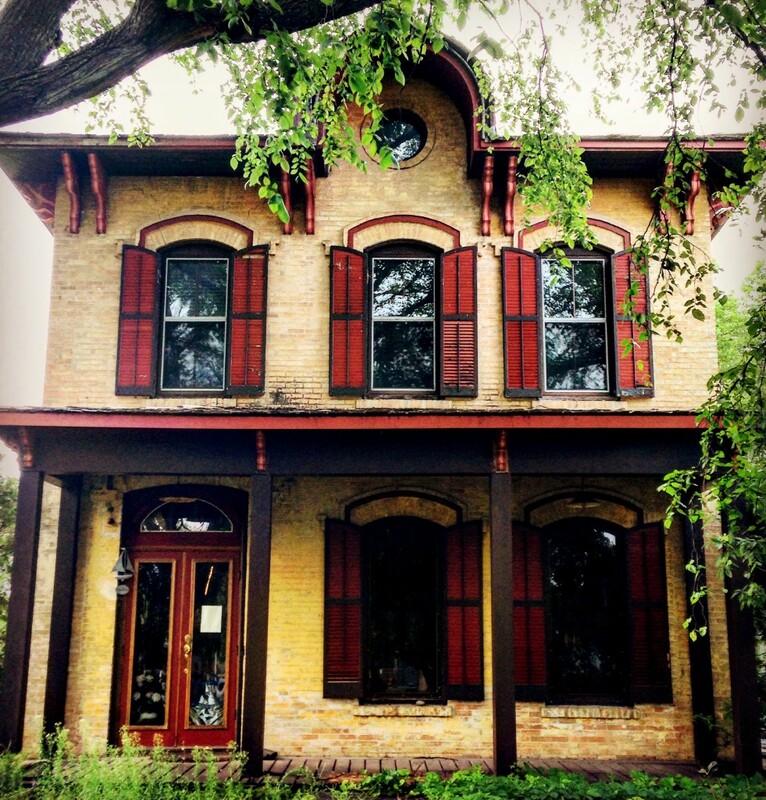 Ferdinand Peters House, Cold Spring – The Victorian-style Peters House in Cold Spring, MN (outside of St. Cloud) was one of three adjacent similar homes built for the founders of the Cold Spring Brewery. It is listed on the National Register of Historic Place due to its significance in the local economy. 82. 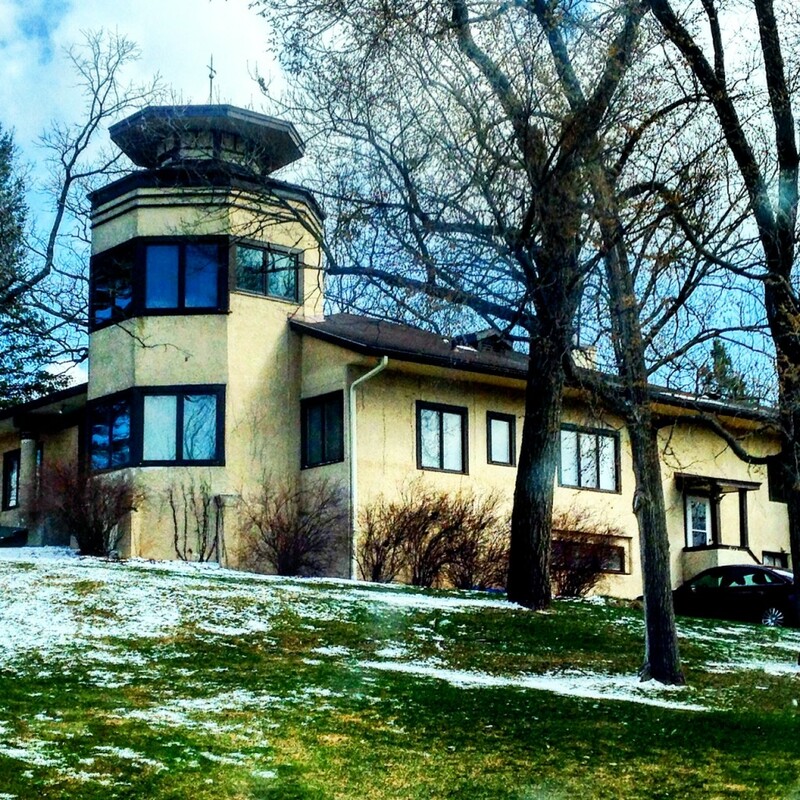 Tower View, Red Wing – Also known as the Anderson Center or Anderson Estate, the entire “Tower View” campus is a unique farm/residence/laboratory complex dating back to 1916. It was here where Alexander P. Anderson invented the concept of puffed wheat cereal. Nowadays, there are botanical gardens, a sculpture park, different art studios, and the center features an international artist-in-residence program. The house on the property, known as the Main Residence, is a unique blend of Georgian/Colonial architecture, and nearby is the stylized watertower which lends its name to the property. 81. 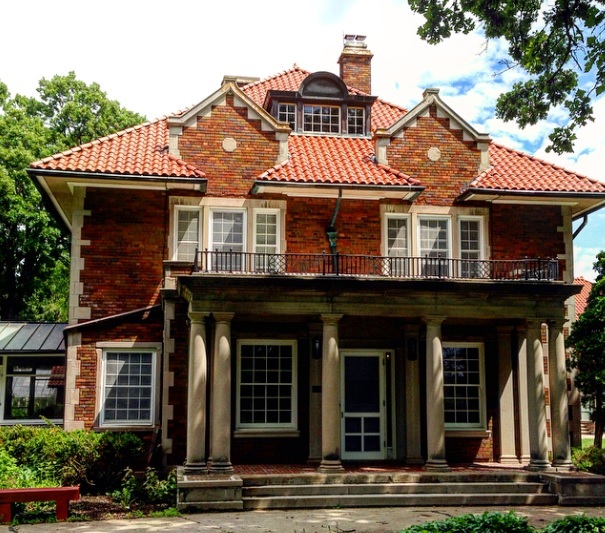 Kellogg House, St. Paul – A mix of Queen Anne and Romanesque architecture, the Kellogg House’s most notable claim to fame was being the residence of Frank B. Kellogg, who helped transform US foreign policy during his tenure as Secretary of State under President Coolidge in the 1920’s. 80. 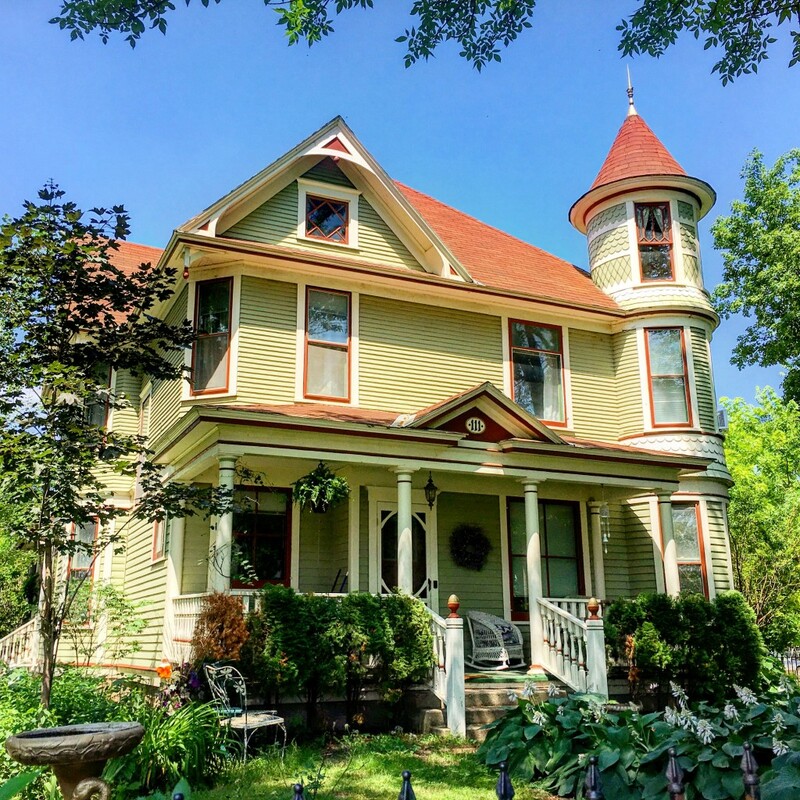 Scandinavian Inn, Lanesboro – I had a lot of readers mention the fact that we missed some homes in Lanesboro in the Top 50 list, so I was able to swing by there and explore the B&B Capital of Minnesota. 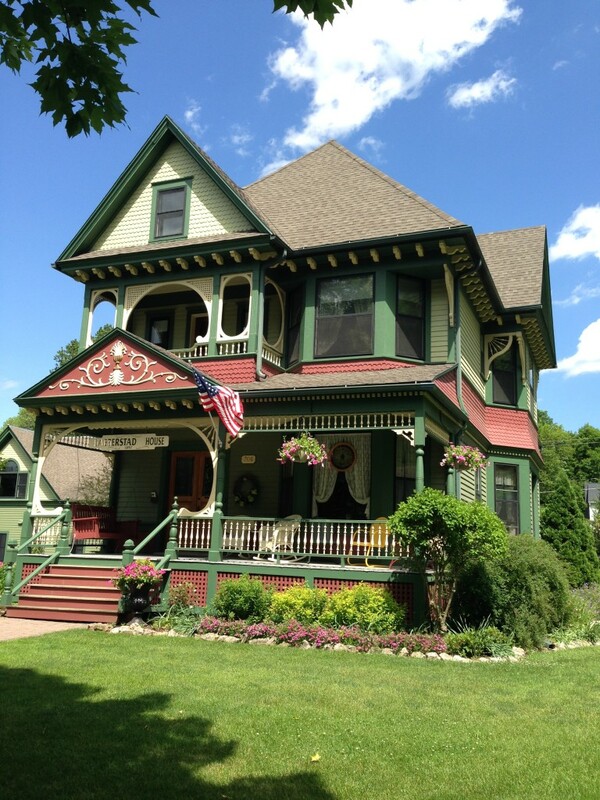 The first one on our list is the Scandinavian Inn, a Victorian home built in the 1890’s. It features pine woodwork, stained-glass windows, and a rooftop gazebo. 79. 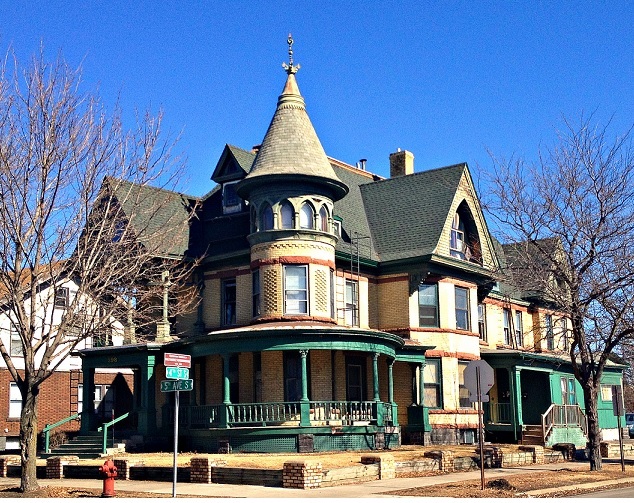 Lohmar House, Minneapolis – The John Lohmar House in North Minneapolis is a well-preserved Queen Anne-style home with twin conical end caps and a great amount of intricate detail. It was built in 1898. 78. English-style Brick Tudor House, St. Cloud – St. Cloud’s Southside Historic District features about 9 blocks of unique homes built in many different architectural styles, including a couple of brick Tudor-style homes like the one pictured above. 77. Lee Brothers House, Minneapolis – The Renaissance-style home at 2546 Portland Ave in Minneapolis dates back to 1901 and was used primarily as the Lee Brothers Photography Studio, one of Minneapolis’ first photography studios in the early 1900’s. It most recently was the home of a real estate agency. 76. 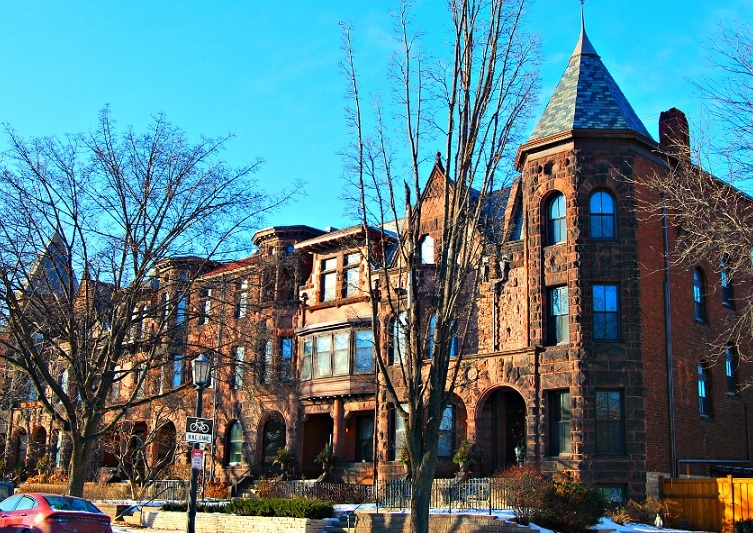 F. Scott Fitzgerald House, St. Paul – This Victorian rowhouse made of locally quarried brownstone on St. Paul’s Summit Ave was the home where author F. Scott Fitzgerald (of Great Gatsby fame) lived with his parents in the 1920’s. The rowhouses are still available to rent to this day. 75. 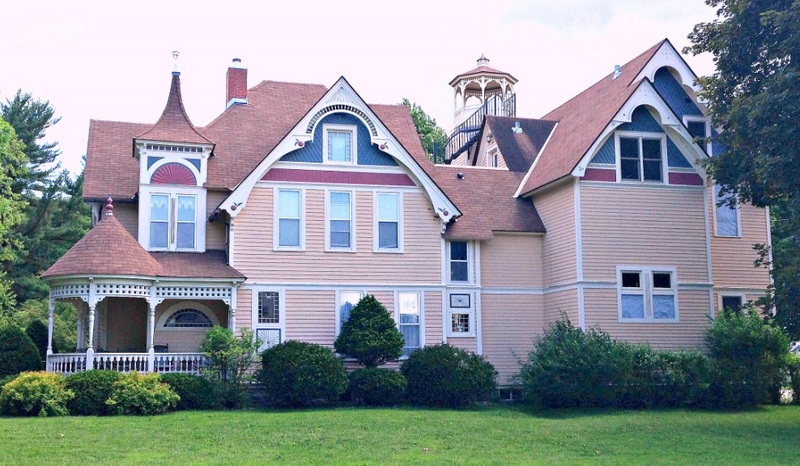 Habberstad House, Lanesboro – Another beauty in Lanesboro, the Habberstad House was built in 1897 and is also in use as a B&B. It features a beautifully landscaped yard with gardens and fountains, a separate carriage house, and an antique-filled parlor room for guests. 74. 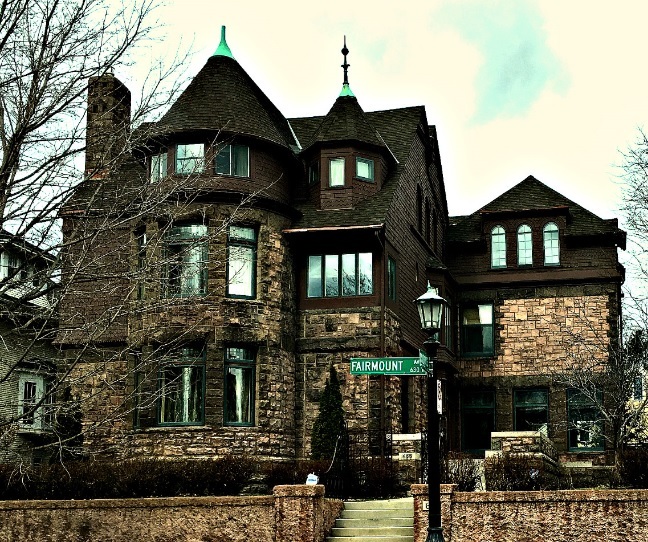 McKnight Mansion, Minneapolis – Built in 1892 for New York-born lumber magnate and real estate developer Sumner T. McKnight, the red-brick Victorian home at 2200 Park Ave South in Minneapolis is one of the many marvels on Park Ave, Minneapolis’ answer to St. Paul’s Summit Ave district. It later fell into disrepair when it was being used as a drug rehab facility but has recently been fixed up and restored. The current owner is looking at using it for medical offices. 73. 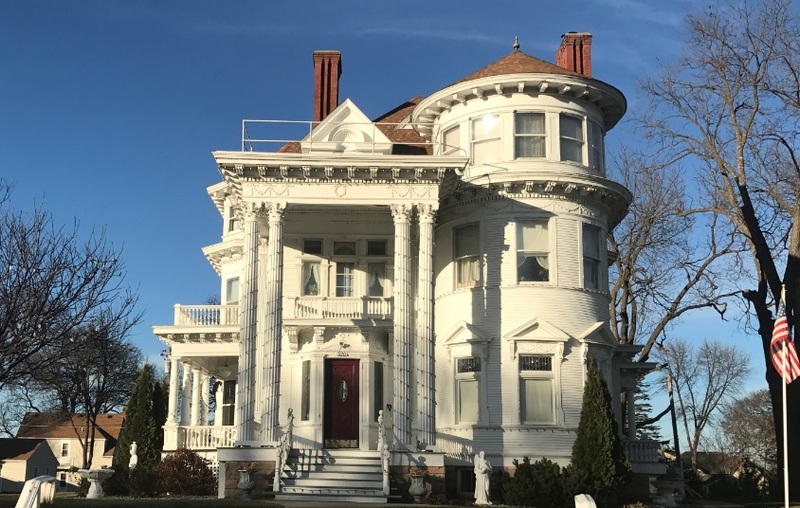 Burton-Rosenmeier House, Little Falls – A prime example of Neoclassical architecture, built around 1900 and owned by notable local merchant Barney Burton and later by attorney/politician Christian Rosenmeier. 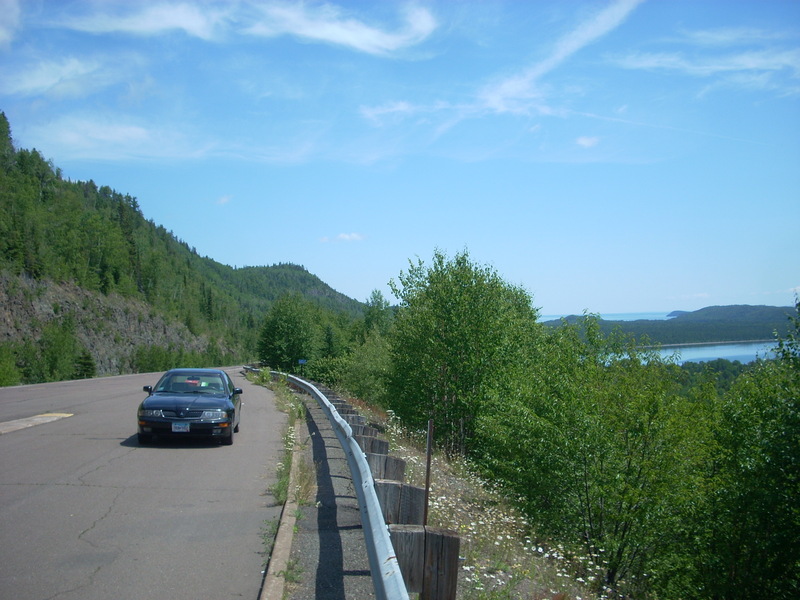 It is currently the home of the Little Falls Convention and Visitors Bureau. 72. 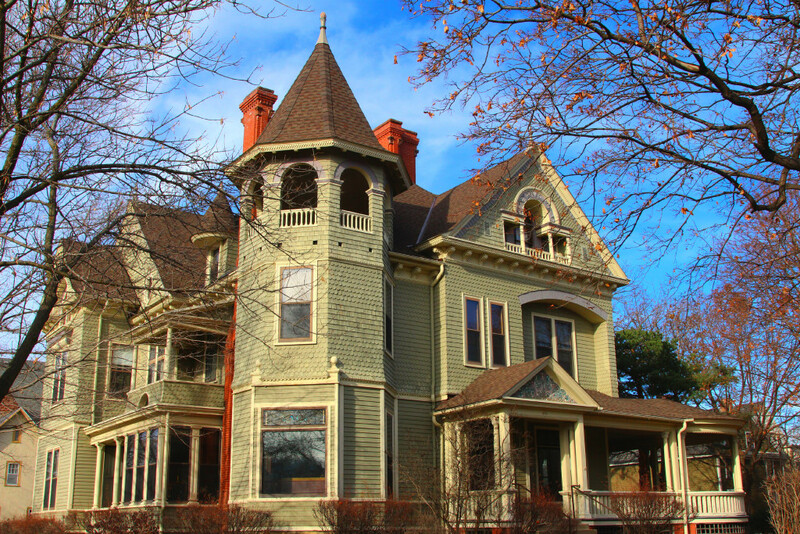 Lammers House, Stillwater – The Lammers House in Stillwater, one of dozens of beautiful Victorian homes in the historic river town, has the distinction of being one of the most elaborately designed Queen Anne homes in the city. This one dates back to the 1890s when it was built for the Lammers brothers, two prominent players in the timber industry. 71. 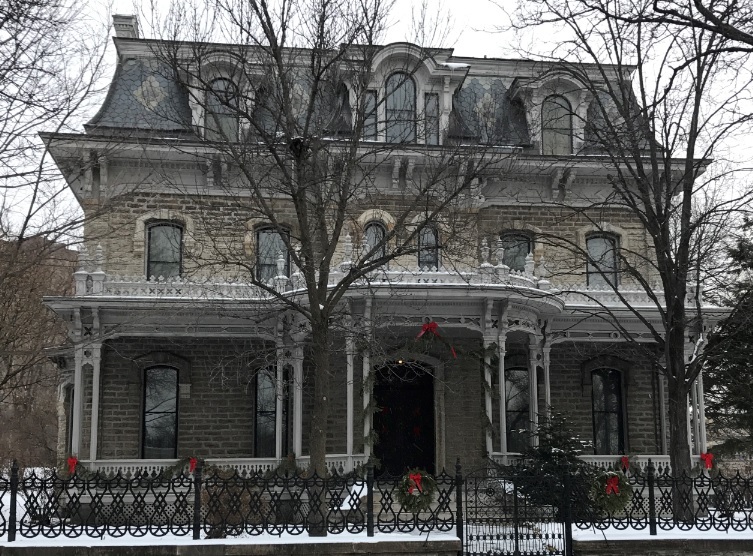 Addison G. Foster Home, St Paul – The remarkable home at 490 Summit Ave in St. Paul was originally built in 1883 for a prosperous lumberman named Addison G. Foster. It’s a mix of Romanesque and Queen Anne Victorian architecture, and was at one available for rent as a banquet facility. It is currently subdivided into individual rental units. 70. 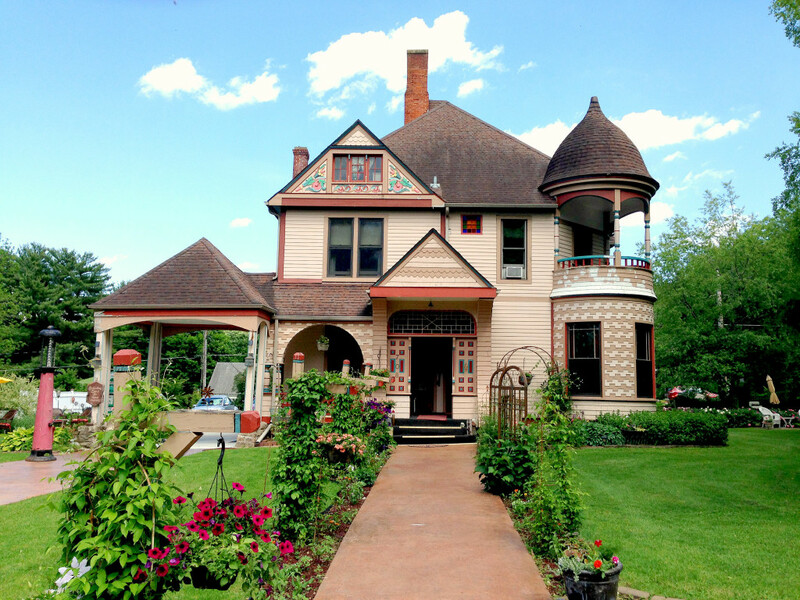 Stussi House, Stillwater – The Henry Stussi House in Stillwater was built in the Carpenter Gothic fashion back in the late 1870’s. Stussi had moved to the area to purchase and upgrade a mill for animal feed. The home is listed on the National Register of Historic Places currently. 69. 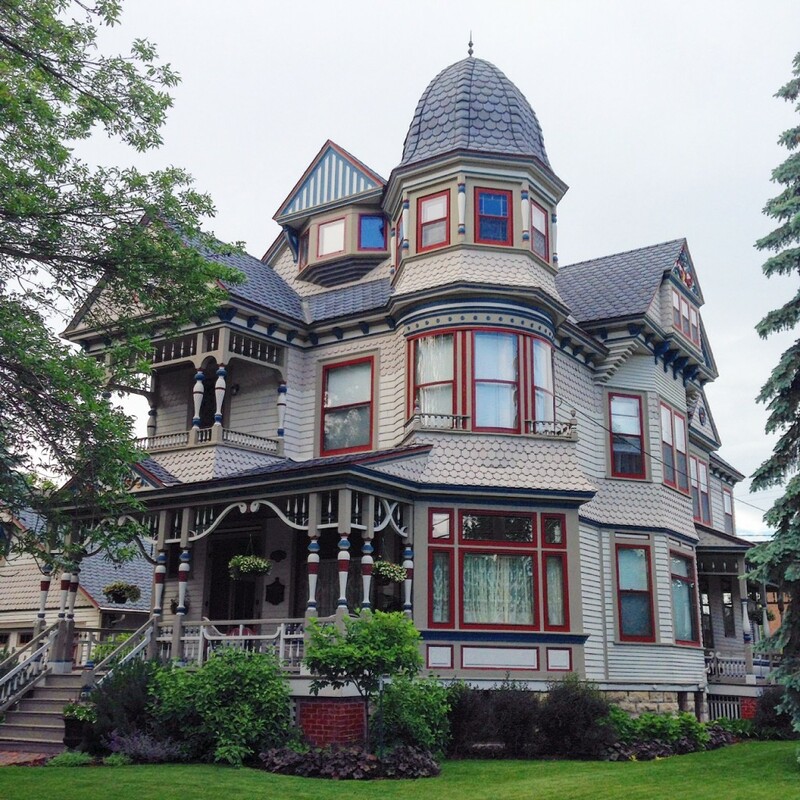 Joseph Schmitz House, Winona – This beautiful home in Winona features a mix of Eastlake and Queen Anne-style Victorian architecture. It was built in 1893 for a wholesaler of horse saddles and harnesses named Joseph Schmitz. It is now a private residence not far from the Watkins Mansion in Winona. 68. 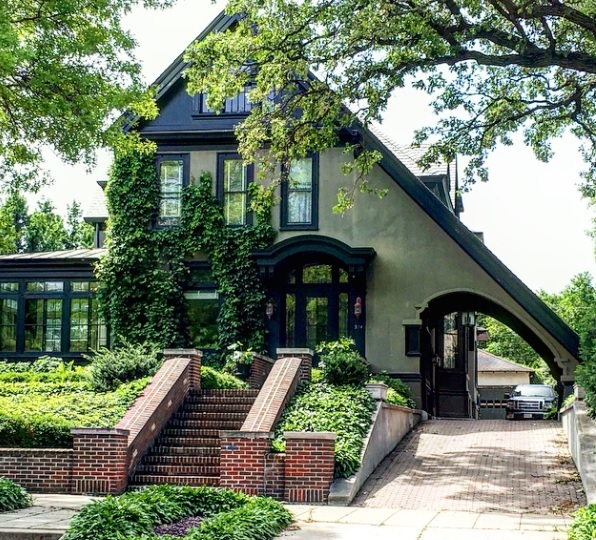 E. S. Hoyt House, Red Wing – One of the most iconic examples of the significant Prairie School Architecture phase, the Hoyt House in Red Wing’s Historic District was built in 1913 by Purcell and Elmslie, who designed a few other homes in Minnesota as well. It features a cantilevered second story with a band of windows all around it, and horizontal lines and edges. 67. 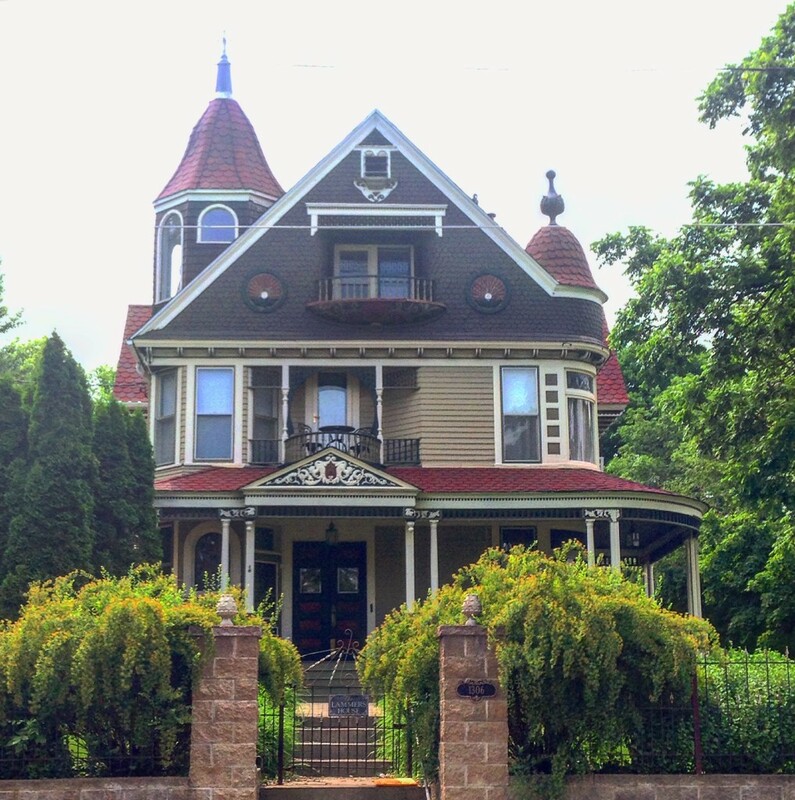 Charles Schnieder House, St Paul – The Schnieder House, built in 1890, is a very rare combination of Shingle Style, Victorian, and Dutch Colonial. 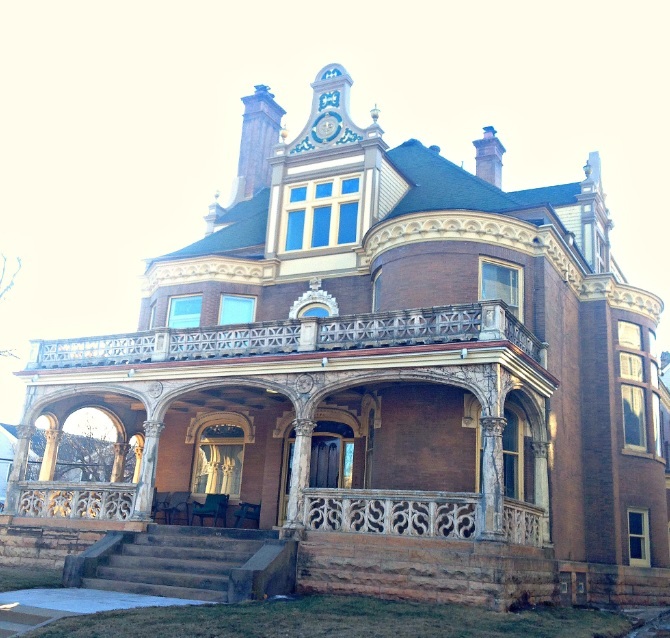 The home is the most architecturally significant standing house from the 1887 Hazel Park neighborhood development. 66. Cray Mansion, Mankato – I had wanted to include the Cray Mansion on the original Top 50 list but just couldn’t manage to sneak it in. It was originally a private residence when it was built in 1897 and was later owned by the local YMCA for almost 80 years. It has changed hands several times and is currently a multi-unit dwelling like St. Cloud’s Castle house (no. 95). 65. Rudolph Latto House, Hastings – We covered a few homes in Hastings in our top 50, but how could we leave out the Rudolph Latto House? 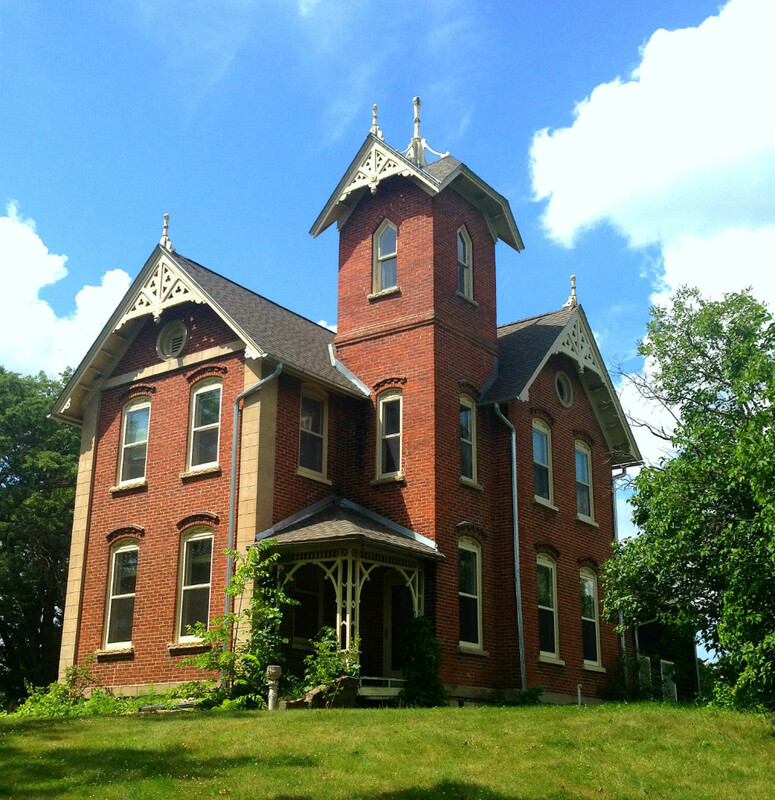 The beautiful, green-trimmed structure is known for its unique mix of Italianate and Eastlake influences. It is currently known as the Historic Inn on Ramsey Street and used as a Bed and Breakfast. 64. 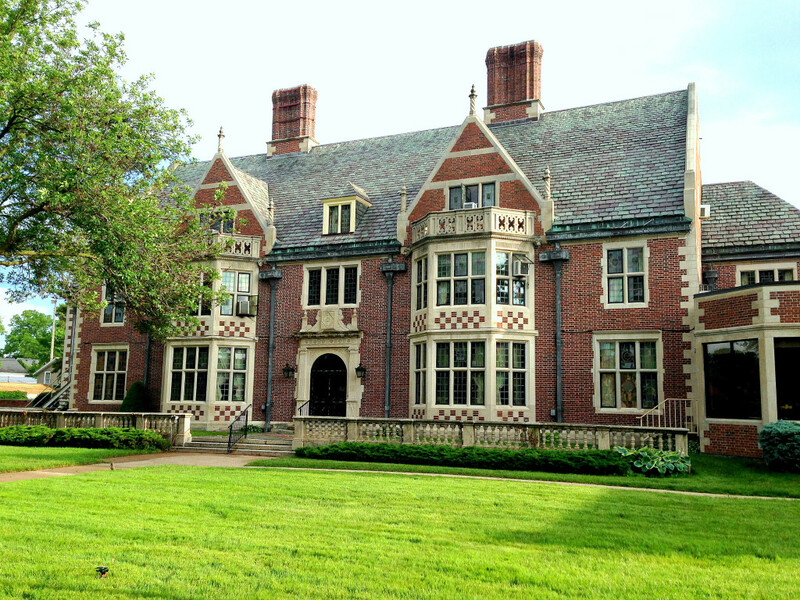 Alden Smith House, Minneapolis – The Alden Smith house was originally constructed for the Alden Smith family (Smith was a prominent businessman and partner in the Wyman Door and Sash Co.) in 1887 by locally renowned architect William Channing Whitney in the Richardsonian Romanesque style of architecture. It’s now in use as the Wells Center, an admin building for the Minneapolis Community and Technical College. 63. 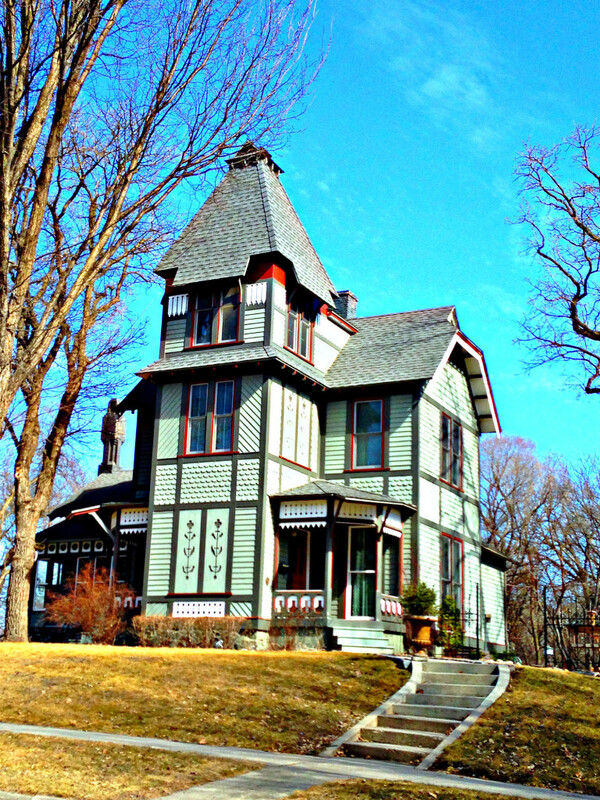 Octagon House, Red Wing – Red Wing’s Octagon House, also known as the James L. Lawther House, was inspired by a house in Dubuque, IA. It was built all the way back in 1857 with an addition added on in 1870. Lawther was a prominent businessman in Red Wing’s early days. The house is currently in operation as the Octagon House B&B. 62. Hinkle-Murphy House, Minneapolis – One of the first and most prominent examples of Colonial Architecture in Minnesota, the Hinkle-Murphy house sits near a corner of downtown Minneapolis and was designed in 1886. It can be rented out as a private office space nowadays. 61. Frances Shepard House, Falcon Heights – Just outside of the Minnesota State Fairgrounds in the village of Falcon Heights, MN, is an enclave of homes called “University Grove.” In total, there are 103 architect-designed homes on land that was set aside for U faculty and staff in University Grove in the 1950’s. 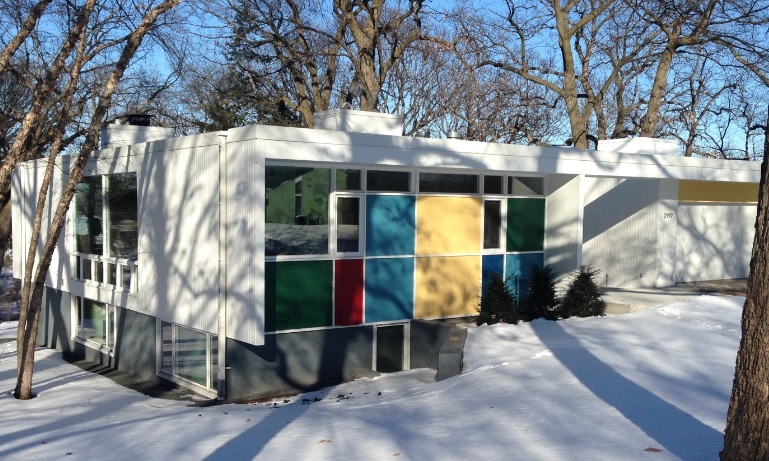 One of the professors, Frances Shepard, enlisted architect Ralph Rapson to design a Mid-Century Modern home in ’51, and many more followed suit. It’s a fun drive through the neighborhood to see the different Mid-Mod homes and other architectural styles. 60. 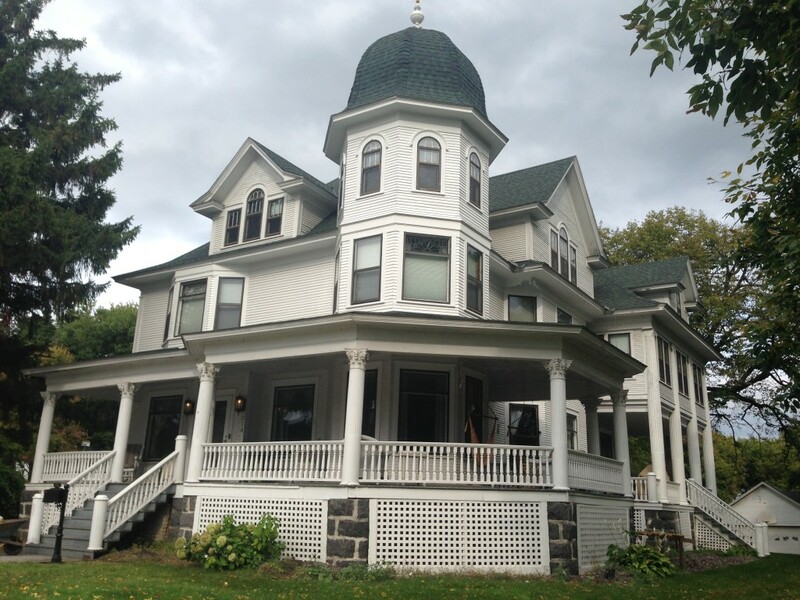 Scanlan House, Lanesboro – Dating back to 1889, the Scanlan House in Lanesboro features original woodwork and stained glass and a perfectly manicured lawn like most of the B&B’s around Lanesboro. It is one of the oldest operating B&B’s in the town (25+ years), and certainly one of the most beautiful. 59. C.C. Clement House, Fergus Falls – Fergus Falls is home to many beautiful houses including the Stick Style/Eastlake Architecture-styled Clement House. This one dates back to 1882. 58. 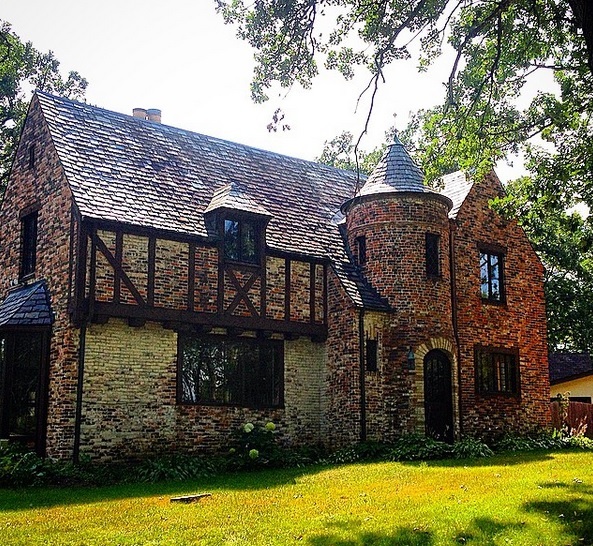 Emil J. Oberhoffer House, Lakeville – The Oberhoffer home was built in 1914 on Lake Orchard outside of Lakeville for the conductor of the Minnesota Symphony Orchestra and later belonged to pro golfer Patty Berg, one of the founders of the LPGA. 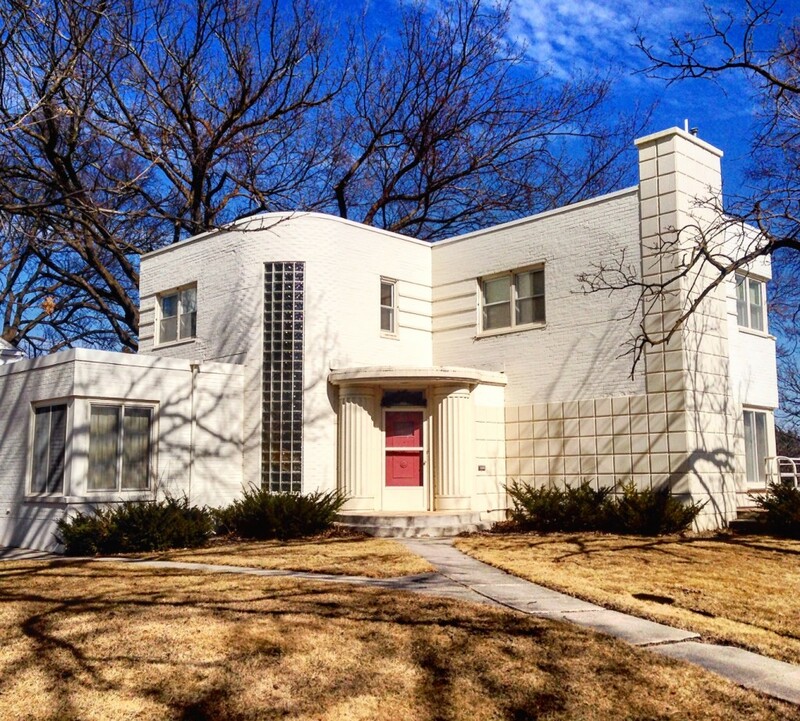 The home showcases Prairie School architecture like a few others on our list. 57. 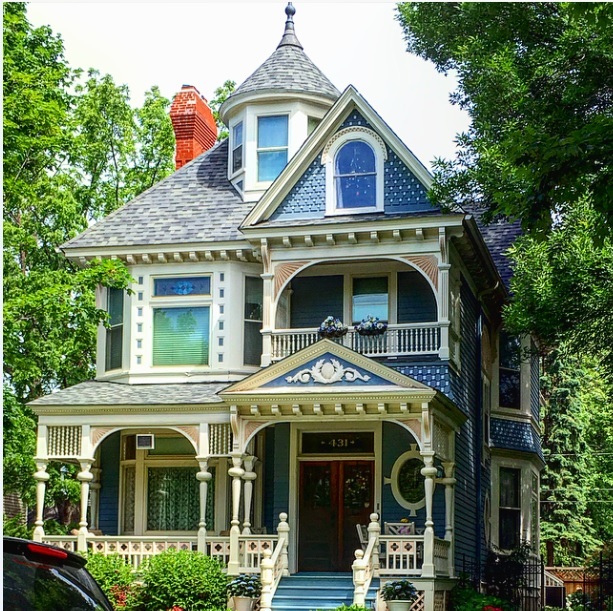 431 Ashland Ave, Saint Paul – A charming, intricately designed Queen Anne home in St. Paul, the home at 431 Ashland Avenue was actually built elsewhere originally and moved to this location in the 1970’s. It was built in 1890. 56. 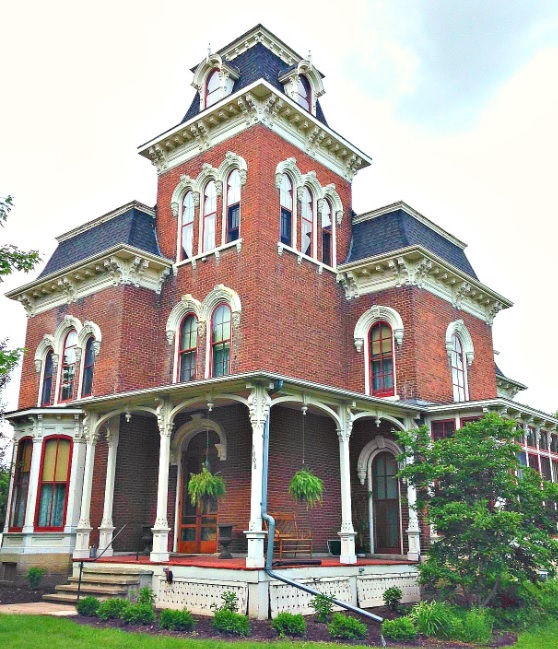 George Wohlheter House, Fairmont – A bright mix of Victorian and Classical Revival architecture are found on the Wohlheter House in Fairmont. 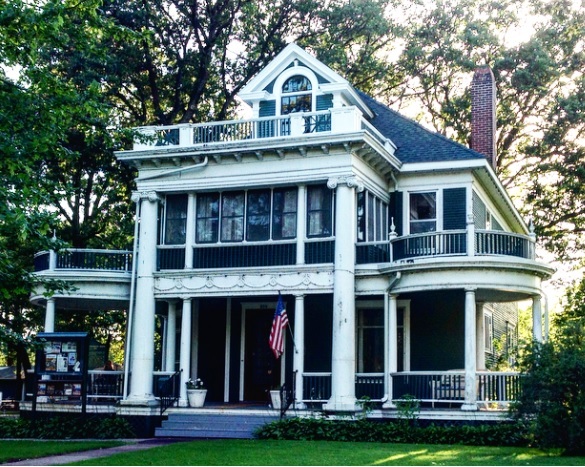 It was built around 1899 for a prominent local grain merchant and civic leader. 55. The “Angled Driveway House,” St. Paul – One of Summit Avenue’s many beauties, the Angled Drive House was built in 1884 for a grain dealer at the Hudson Bay Company and later owned by the president of a Publishing Company. One of the more unique and unconventional homes on our list, the “Angled Driveway” home features an unsymmetrical roof that goes right to the ground. 54. 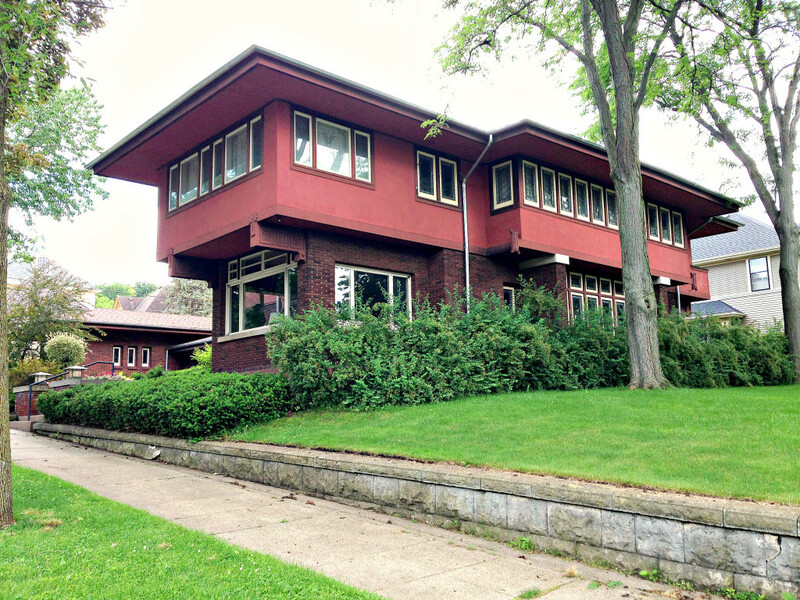 Elam House, Austin – The Elam House in Austin, MN is one of 10 Frank Lloyd Wright-designed homes in Minnesota. It was built in 1951 for S.P. Elam and his wife after seeing another of Wright’s organic, “Usonian” masterpieces in Wisconsin. The house is distinctive for its Mid-Century Modern aesthetics and actually can be rented out for private use via VRBO. 53. 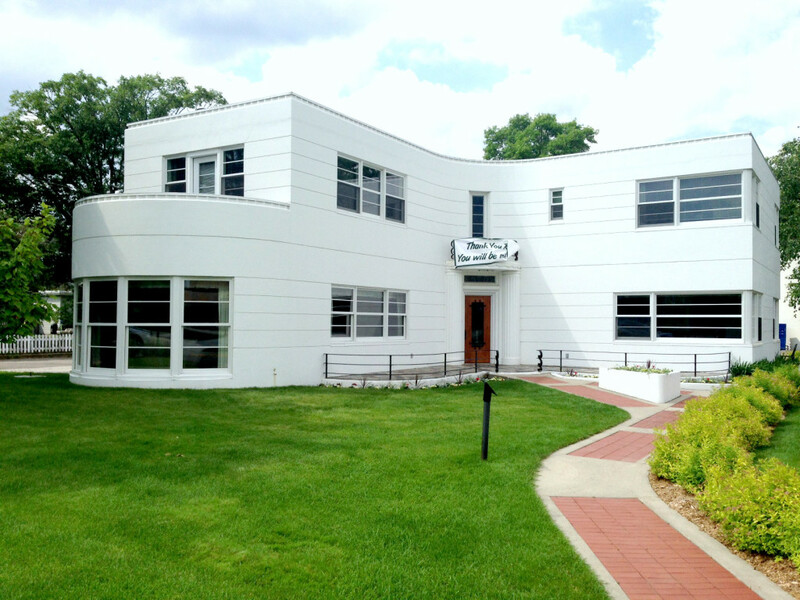 Park House, Bemidji – The Wanda and David Park House in Bemidji is one of the best and well-preserved examples of Streamline Moderne architecture in the state. The brass railing for the interior staircase is designed like a musical note and the house is said to resemble a piano. It was built in the 1930’s when David Park saw an example of the then-popular style at the World’s Fair in Chicago. 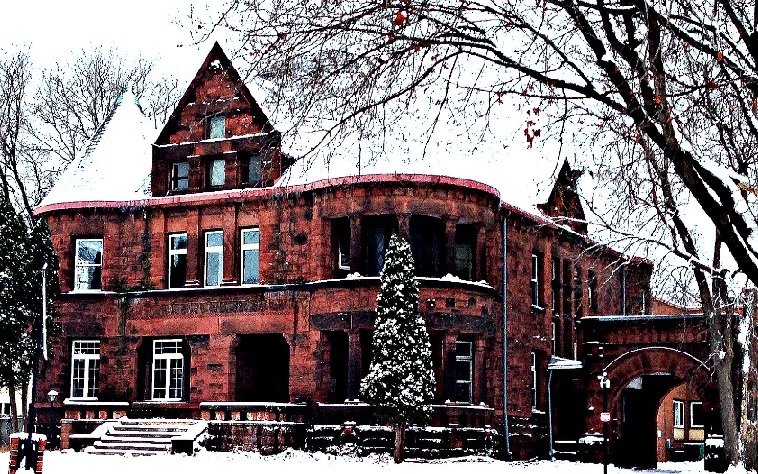 In 1992, the home was donated to Bemidji State University and is currently used as their Alumni Foundation Center. 52. 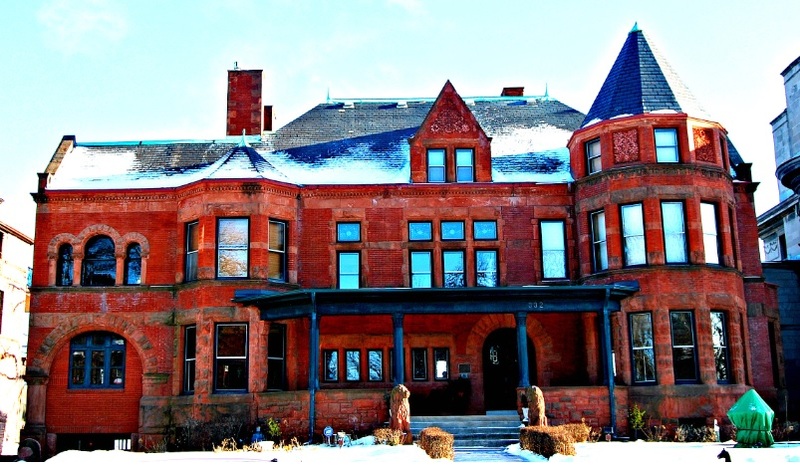 Plummer House, Rochester – The Plummer Mansion in Rochester was once the home of Dr. Henry Plummer, who, along with the Mayo Brothers, founded Mayo Clinic in the ealry 1900’s. 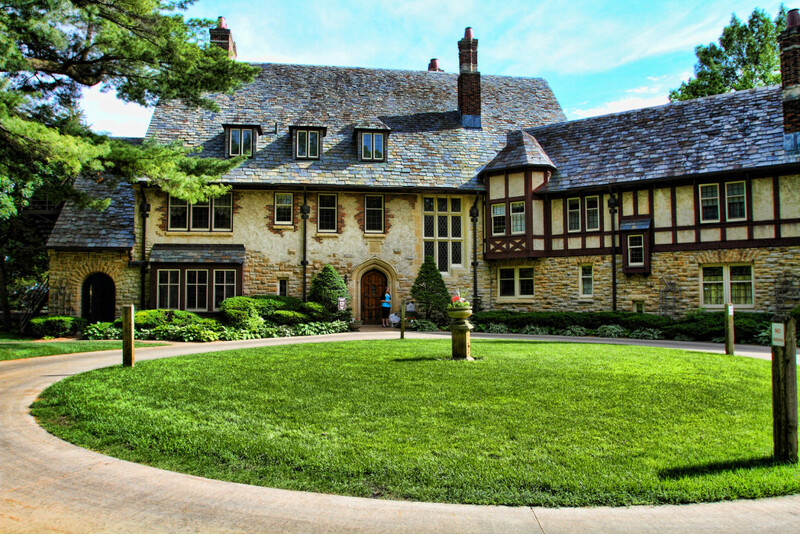 His house, an English Tudor Revival-style mansion built in 1924 was very technologically advanced for its time. 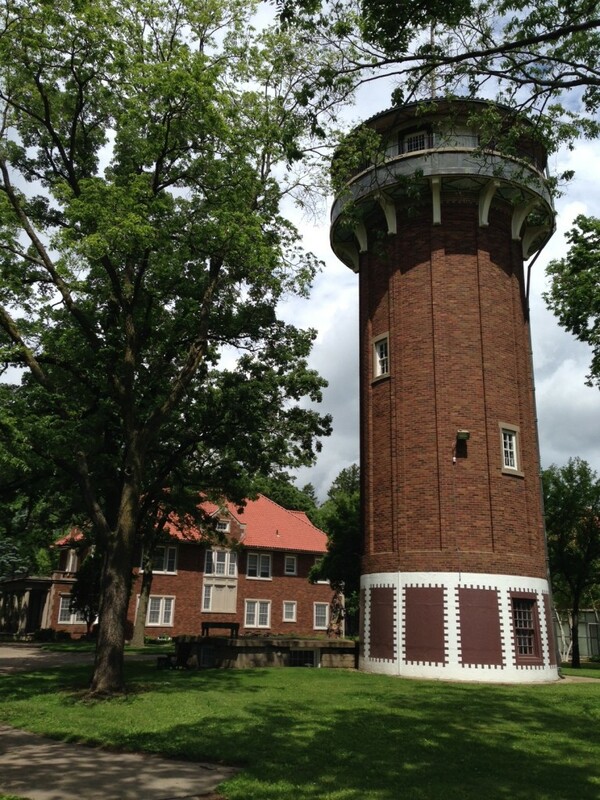 The estate includes its own water tower, gazebos, outbuildings, and even rumored to have underground passageways. 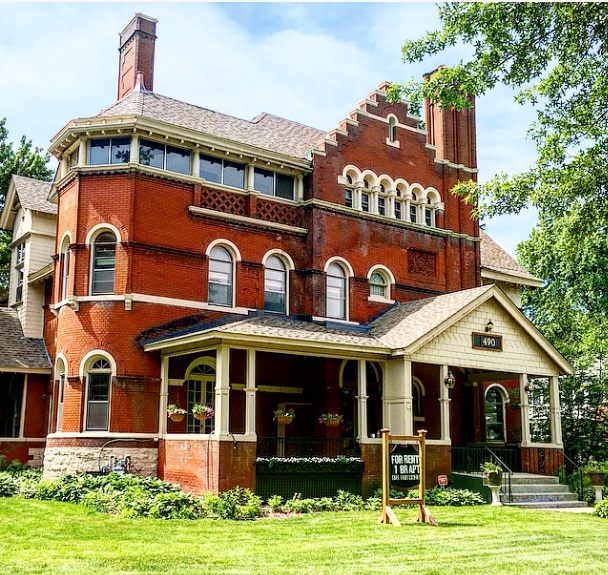 The home was passed down through generations before being donated to the Rochester Arts Center, and currently Rochester’s City Park and Rec board manages it for use for rental as a banquet/wedding facility and other events. 51. 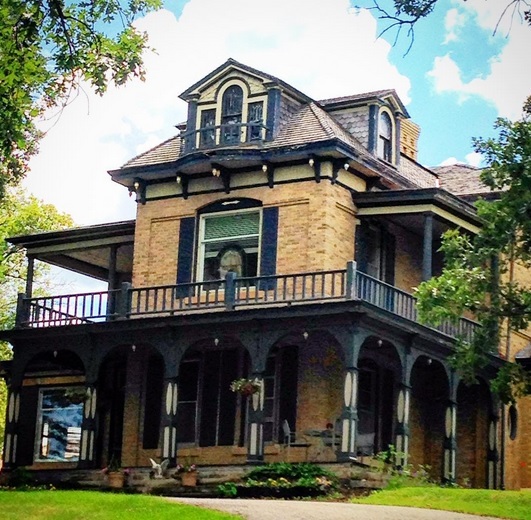 Watkins House, Winona – Also known as “The House that Vanilla Built,” the Watkins Mansion in Winona was originally the home of Paul Watkins, nephew of J.R. Watkins, who founded the iconic home-cleaning care products company. It was constructed over several years in the 1920’s in the Renaissance Revival style. It is now part of a senior living complex. On to the Top 50! Are there any homes that didn’t make our Top 100? Let us know in the comments section below!